Knowing the secrets of success with the Online Travel Agents OTAs can boost your direct bookings. Their web coverage is so massive that any single property will find it hard to get noticed without them. In reality the chances are that any potential customer visiting your website has already checked out your listing on the OTAs, so take a moment to learn how to leverage that coverage to your advantage. The big OTAs like Booking.com and Expedia are experts at online promotion and sales, they act a bit like a supermarket, giving customers significant choice, relevant information to help compare and an opportunity to buy simply and quickly. They have mastered the art of great online marketing, continually optimising their websites and spending billions on advertising to generate millions of bookers. Ranking high on search engines and also listing on the most popular websites like TripAdvisor make it almost certain that anyone searching for accommodation online will come across them. The great news is that although customers visit OTAs during their search for accommodation most still choose to book direct. Take your OTA presence seriously by investing time and care to ensure it works for you. Do not be fooled into just a switching it on and letting it run, you have to drive it in the right direction. 1. Look Special: Ensure you are “attractive” on the OTA websites by having great images and plenty of them. These images must “connect” with customers on an emotional level….can they see themselves in those images? Highlight your strengths, you will be compared. By standing out you increase your chances of getting booked. 2. Know Your Targets: Understand what types of customer are finding you on the OTAs – why not ask them when you see them? Then grab the attention of those customers with the right content, your business customers may want to see free wi-fi, car parking, proximity to their destination etc. Enhance your own website to attract these customers. 3. Make Improvements: Refresh and fine tune your presence on each OTA, learning and improving all the time – nothing is static on the internet! Simplify the process of managing OTAs by using a channel manager, then spend the time you save by getting more from the connection…. put an end to tedious rate and availability updating, rather spend the time saved to add real value. 4. Drive Direct Bookings: You must have a great website, invest in fantastic images and rich content – go the extra mile. Place your online booking process at the heart of your website, it’s got to be so easy to find and book. 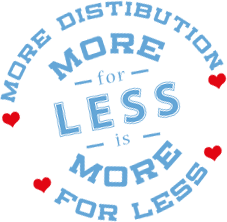 Customers want it to be simple don’t confuse them or appear to offer less. Extract the maximum value from all customers, capture repeat business or referrals direct. 5. Returning Customers: Once a customer comes to you via an OTA make sure you get to know them, offer them a loyalty discount so they come back via a direct booking next time. Add the customer to your mailing list or social media channels and engage them directly. 6. Create your own Mini OTA: When you can’t beat them make your own. Why not join up with other properties in your area to work together. You could create a website for customers to book accommodation in your location and compete with the chains and save commission using your mini OTA. Smaller independent properties have limitations on their time and marketing budgets so it’s critical you make the most of them. The biggest advantage owner run and managed businesses have is the direct contact with their guests, it’s not something the chain hotels and OTAs can replicate. Freetobook is a Internet Booking Engine and channel manager with many added services and connections to the world’s biggest sales systems like TripAdvisor TripConnect, Booking.com, Expedia, HostelWorld and many others. Using freetobook can greatly improve your worldwide distribution and add bookings to your bottom line : find out more about freetobook on our home page. To find out more about what the freetobook channel manager can do for you, click the link below. When is the Kenyan listing Serviced Apartments and Hotels commence. I feel we need to tap the global market. Properties in Kenya can register and use freetobook, it is already used in over 95 countries including Kenya. Can we use this service in the USA? Yes freetobook is available world wide. You mention Trip Advisor but I wonder if you have picked up on how random and slow their process is for approving a B&B listing? Though our application apparently meets their criteria we’ve had no response from them. We phoned them, were told they had no record of our application, so applied again – still nothing. Many others complain on forums about the same thing. Any suggestions on that please? TripAdvisor is a big company you just have to go through their process. We don’t have any shortcuts, if we knew any we would be sure to let you know ! I think a shortcut worth trying is to get someone to leave you a review then you can claim your listing. Re: #5. We send a loyalty discount code to previous guests to encourage them to book direct with us in future but I notice FreeToBook does not support discount codes. Any plans to incorporate this in the near future? Our existing online booking company’s renewal is up in a month and this is the only barrier to us moving to FreeToBook and using your FabPay system.